What happens when two color extremes meet? 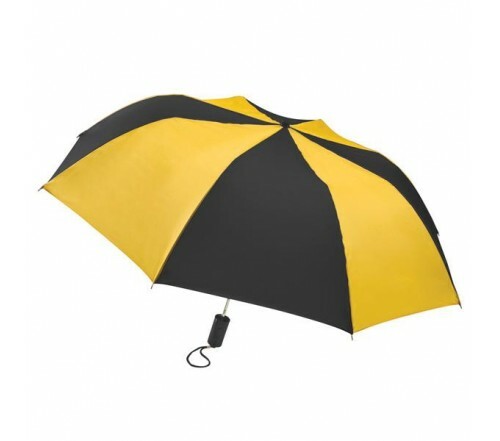 It results into a personalized black & gold 44” arc barrister auto –open folding umbrella? Isn’t it?! Yes, definitely. Marketers who are using black & gold colors in their brand profiles are largely using it for gifting. This umbrella is affordable and easily manageable within bags. It features – auto – open function, plastic handle with carrying strap, 44” arc black & gold canopy and metal shaft. Dimensions- 44", folds to 15". Imprint area – 9 ¼ “W X 6 ¼” H X 6” top.